The Central Park Zoo is one of the many gems sprinkled throughout New York City. Receiving its charter in 1864, it became the 2nd publicly owned zoo in the United States. While this is a great place to visit while in Manhattan, the cache is not hidden at this location. You will need to solve the puzzle below in order to locate the cache. Welcome to the New York Public Library system! This cache has limited hours of availability, which are listed below on the cache page. ***NEW as of December 2018! Geocachers who have found at least 6 NYPL caches are eligible for a Level 1 pathtag! 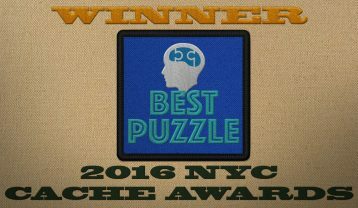 Geocachers who find at least 12 NYPL caches are eligible for a Level 2 pathtag as well! If you think you qualify, please send me a note and I will get your tag(s) out to you. Did you know that every branch of the New York Public Library offers free Wi-Fi? That's great news for all geocachers visiting from out of town! 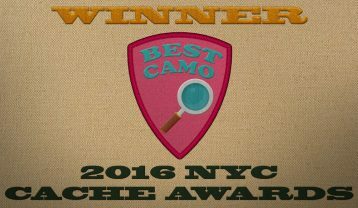 Update: May 2017 - I have been notified by the New York City Geocaching Community that this cache has won three "Best of" Awards for 2016, Best Series, Cleverest Hide/Best Camo and Most Satisfying Puzzle! Thank you to everyone who has visited to this point as your logs are a big reason why this has happened! Someone told me it's all happening at the zoo. I do believe it, I do believe it's true. It's a light and tumble journey from the East Side to the park. Just a fine and fancy ramble to the zoo. But you can take the crosstown bus if it's raining or it's cold and the animals will love it if you do. Svany: Ernq jung vf va Pregvghqrf!